Every outfit has its own features and every occasions has its must-have accessory, but the only thing I can not do without is mascara! 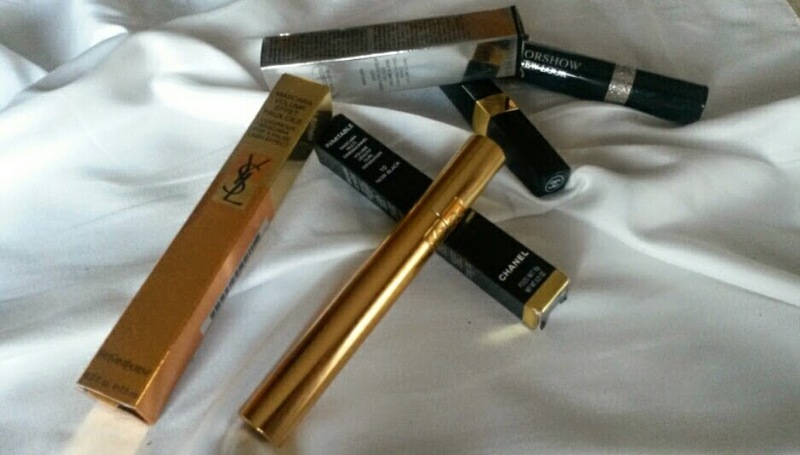 YSL - effet faux cils. Instant volume to my lashes for a false lash effect look. Chanel - Inimitable. In few strokes it gives to my lashes volume, lenght, curl and perfectly precise separation. Dior - Diorshow New Look. Its nano-brush catches and instantly multiplies each lashes. I usually do not use only one mascara, but I love to mix them in order to get a strong and precise effect. My favourite mix is a combination of Diorshow to separate and define lashes at first and then YSL to maximize the volume! wow! What do you think? Which is your favourite mascara? Anch'io sto usando Dior, però….preferisco Chanel!!!!! Baci baci e buona giornata!!!!! il mio preferito è quello di Dior! Mi hai incuriosita! credo che lo proverò!